Perfect opportunity to own this cute red brick home in Westwood Estates which is slated to become historic! Back bedroom and bath have separate exterior entrance and could be used as a guest quarters or home office! Beautiful wood floors in the family room and a vintage feel throughout! Huge lot that would be perfect for a pool, detached garage and/or workshop. 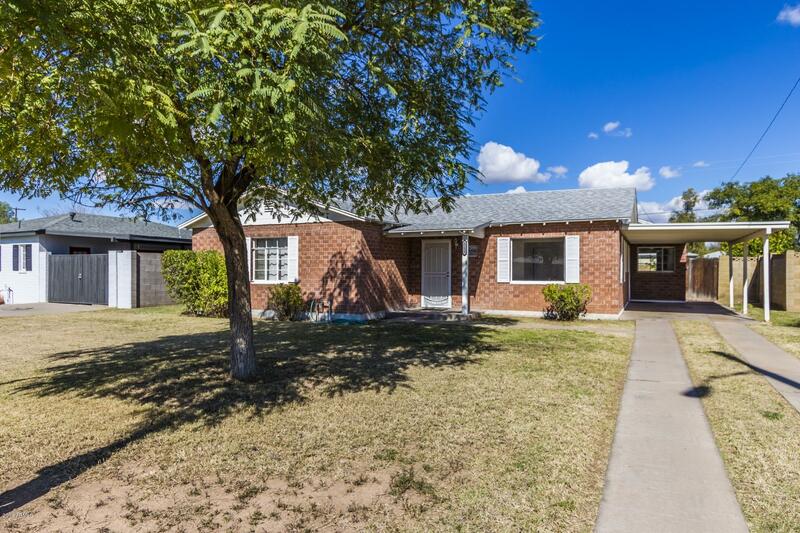 Close to shopping, schools, parks and the I-17. Make your showing appointment today!